One of the big questions surrounding AT&T’s acquisition of Time Warner has been about how the telecom giant will handle its new flagship entertainment brands. Earlier this week, a story from The New York Times raised some concerns about the future prospects of HBO. The story recounted a June 19th town hall with new Warner Media chief executive John Stankey, HBO CEO Richard Plepler, and 150 HBO employees, during which Stankey made it clear that he expected HBO to ramp up content production and diversify its offerings. The account painted a grim picture for the network, which has excelled, thanks to its incredibly discerning taste and prestige-level programming. Making things as awkward as possible, Stankey predicted that the coming year would be so arduous that it would feel “like childbirth”for HBO employees. From HBO’s perspective, that’s certainly a more encouraging take than what the Timesreported, and between both accounts, it’s clear that AT&T sees the network as an important part of its business moving forward. But a platform strategy for a telecom company is a vastly different animal than a content strategy for a media company. And while AT&T’s ambitions may be sound, its approach may nevertheless strip HBO of the very things that have allowed it to flourish. Historically, there’s always been a bit of a disconnect between technology companies and entertainment companies. Call it the difference between Silicon Valley and Hollywood. Technology companies tend to think that the things that work best in their world will translate everywhere, which is why we end up with things like Amazon’s initial attempts at crowdsourcing TV shows. (Spoiler: it didn’t work out.) But the business of gadgets and platforms is fundamentally different than the business of storytelling and content. That’s why every tech company with original programming ambitions has eventually just set up shop in Los Angeles like any other studio. It’s partially a recognition of how the sausage is actually made, but another key motivator is that it’s the best way to build and maintain relationships with talent: the writers, directors, producers, and actors that actually make the shows and movies everyone’s interested in watching. Little is more alluring than both prestige and creative freedom, and that’s an area where HBO has carved out its own unique niche. Back in the 1990s, programs like The Larry Sanders Show didn’t earn network-level ratings, but they earned a degree of critical acclaim that wasn’t really possible with most broadcast network shows. 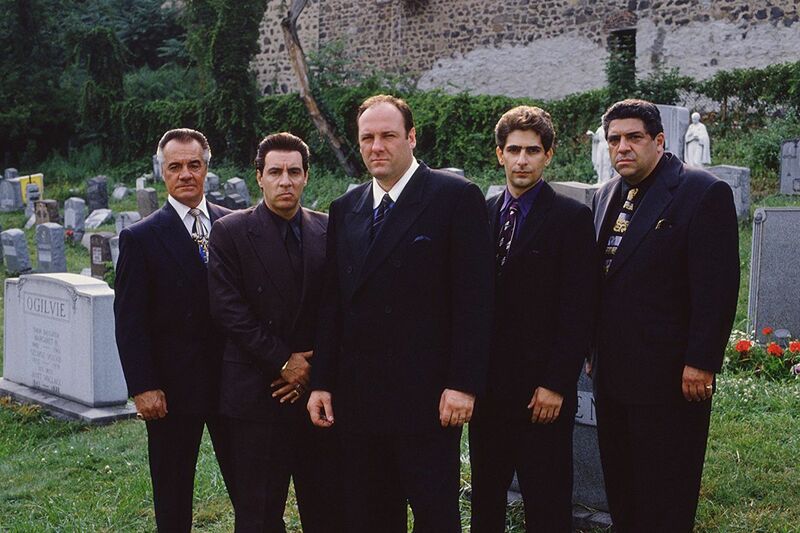 Things really blew open in 1999 with the debut of David Chase’s The Sopranos, a show that’s often credited with spawning the prestige drama altogether. Since then, the network has built its brand around that same style of elevated programming, whether it’s Six Feet Under, The Wire, Game of Thrones, True Detective, or Westworld. The network allows its creators to swing big, which makes it an appealing place for them to work. And audiences have grown accustomed to a high level of craft and polish, which makes them likely to stick around even when their favorite show finishes a season. Game of Thrones is over? Don’t worry; Westworld is just around the corner. That’s wrapped up? Look out: here comes Sharp Objects. In reality, it’s not that easy. It’s very much a technology company’s mindset to think that HBO’s original content can simply be treated like a piece of infrastructure: throw more money at the problem, order more shows, and get the exact same quality of output, just multiplied by a factor of x. But scarcity is part of what gives HBO shows their charm; careful curation is what has created the trust it has with its subscribers. And exclusivity and attention is part of what makes the network appealing to creators. That’s something Plepler has previously stressed when fighting back against the influx of original programming by Amazon, Netflix, and others. And while AT&T may not want to turn HBO into the churn-a-minute content mill that Netflix has become, the streaming service is nevertheless a useful comparison point when looking at how audiences and creators can react negatively to an overabundance of content. When Netflix first got serious about its original programming ambitions, it started with House of Cards, ordering two seasons of the series without even seeing a pilot. At the time, the approach was bold and creator-friendly, opening an exciting new avenue for showrunners who were looking to set up their projects. That continued as the service grew more ambitious. Each of its shows received fresh rounds of attention from the viewing public due to the sheer novelty that Netflix shows — which, at the time, still seemed more akin to web series rather than accomplished television — were actually good. But fast-forward to today, and new Netflix shows are anything but special. The service plans to spend $8 billion this year on original content, hoping to make half of its entire catalog original programs and movies over the coming years. Fifteen different original films and TV shows are rolling out in July alone, and August doesn’t look much lighter. In many ways, original programming has become a commodity at Netflix. And while that does mean more creative works are being produced than they would be otherwise, it also makes it that much harder for any single program to break out and enter the zeitgeist. Couple that with the fact that Netflix tends to focus its advertising on shows that are already known quantities, like Stranger Things or its Marvel series, and what results is a situation where individual creators can start to feel that their shows aren’t being given the attention they deserve and are getting lost in the relentless content deluge. That’s the crux of the entire issue: talent truly is everything. After all, without great writers, directors, and actors, there is no great television to watch. Algorithms can help observe viewing habits and determine what an audience is drawn to, and they can serve up a show you’ll like based on what you’ve watched before. But actually making a show? That’s a group effort — a very human one. “If there were a shortage at our door of talent wanting to work here, I would be concerned,” Plepler said during the town hall. “But there’s a surfeit of talent at the door that wants to work here.” That’s true, but it’s only true because of the way HBO currently operates. Transform it into a business that’s knocking out more shows across more genres all in the name of feeding the hungry corporate content gods, and it runs the risk of losing that high ground. In a GQ profile in 2013, Netflix chief content officer Ted Sarandos summed up the company’s ambitions elegantly: “The goal is to become HBO faster than HBO can become us.” In the years since, something different has actually happened. Netflix has become a creator of some excellent shows, but the sheer volume it produces has kept it from enjoying the same kind of pedigree its rival enjoys. HBO, on the other hand, has improved its streaming capabilities and services, but it has only gingerly expanded its content production, allowing it to maintain its deluxe sheen. It’s understandable why AT&T sees that as an untapped opportunity. There’s the streaming platform play, but in the town hall, Stankey also mentioned data collection and advertising — all the things that you would expect a telecommunications company to think about when it comes to the opportunities that online viewing provides. What seemed to be missing, by his own admission, was awareness of how and why good television gets made in the first place. If only HBO was in the wireless network business.